Bathroom is a room where starts the morning of each family member. And here we relax and get ready for bed every night. That is why the bathroom must meet all of our requirements of comfort, functionality and aesthetics. But any homeowner wants his utilitarian room to be not only comfortable and practical, but fashionable, beautiful. Fashion affects all areas of our life and the improvement of the functional rooms is no exception. 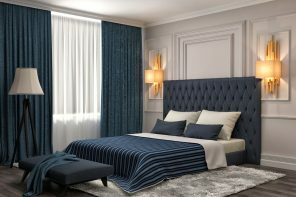 There are new construction and finishing materials, sanitary ware manufacturers are coming out with new collections and designers offer fresh colors. 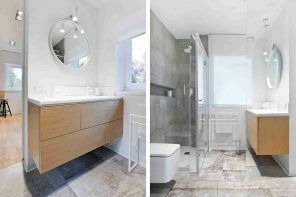 We propose you to deepen plunge deeper into choosing new bathroom design ideas 2016 with our small photo and advice collection. Rejection of centered lighting, the active use of the backlight, lighting at different levels. 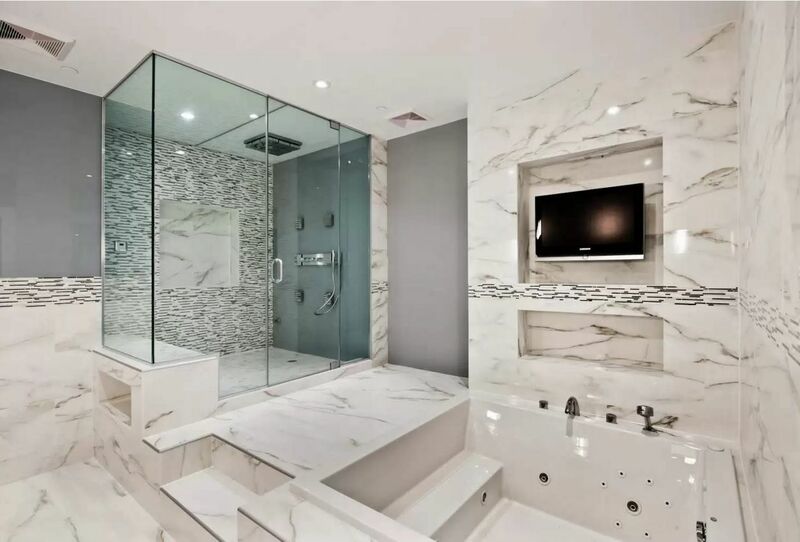 Using of white color for the bathroom design never goes out of fashion. Many homeowners are dreaming to have clean, bright, and sometimes even a sterile image of the utilitarian premises. White wall decoration, light plumbing and only minor deviations from the monochrome color in the form bright accents textiles or even houseplants. But designers tend to use contrasting combinations to maximum avoiding of possible associations with the sterile operating room lately. This associations can appear when you look at a bathroom with a total white trim. Using black and white combinations in the design of modern interiors is the mainstream of the new season. “The white top, black bottom” is a classic design method for increasing the space in height. It works fine with utilitarian buildings too. Wooden or its imitation surfaces fits perfectly in order to dilute the contrast black-and-white bathroom atmosphere. Natural elements are able to balance the color temperature of the room, bringing bit of warmth and coziness into a cool palette. Against the backdrop of snow-white sanitary dark finish looks particularly impressive. Clarity of forms and lines, the rigor and conciseness is the basis of the concept of modern design. 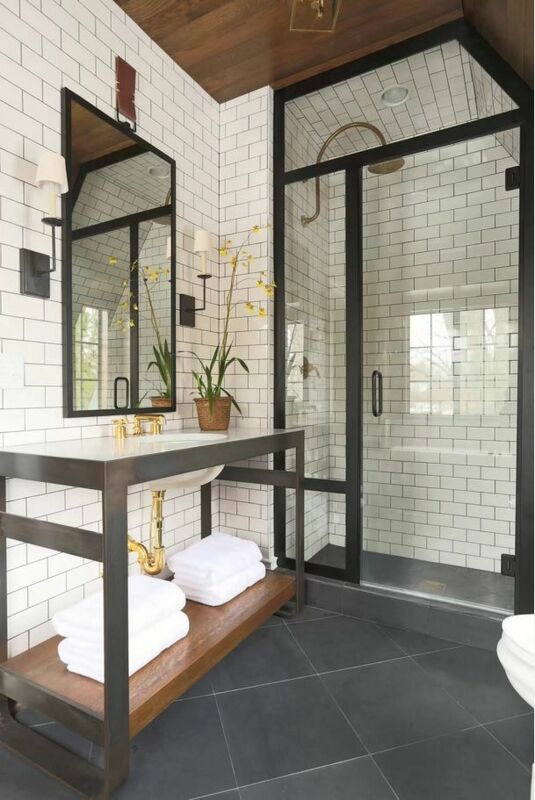 Another version of the black and white color scheme in the bathroom is the use of sanitary ware and black accessories for it, which is located on the white surface of the finish. Dark tone may be present in the interior of the bathroom very dozed amount. 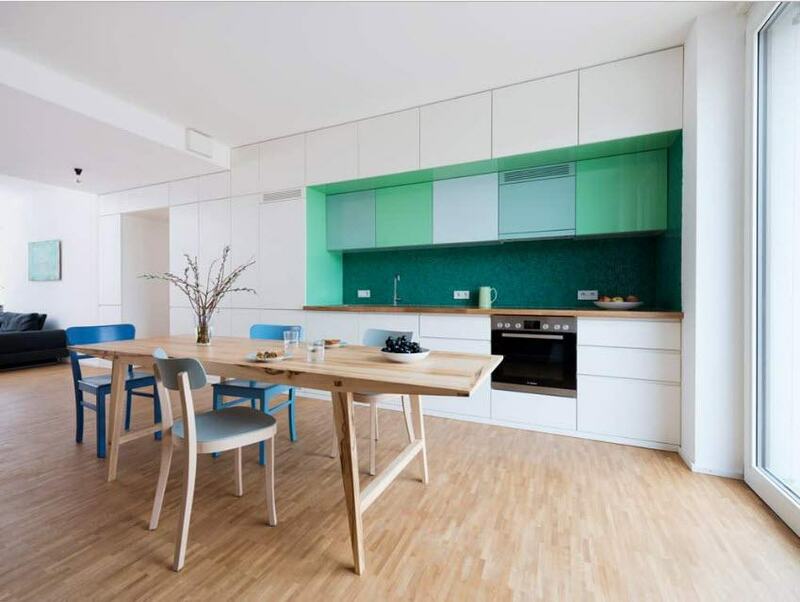 For example, as decoration of interior doors or partitions, color lighting and even textiles. Gray is the most neutral of all possible colors. 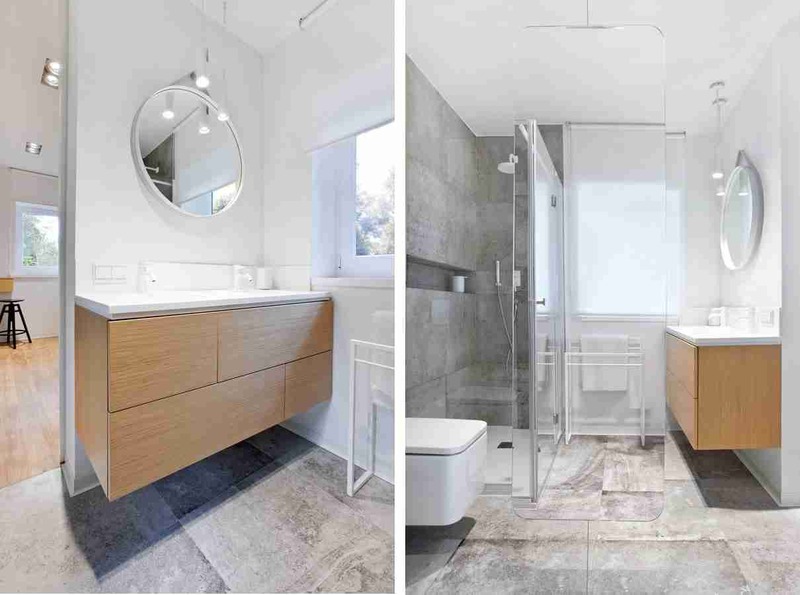 If you want to create a bathroom interior, which will be relevant for years to come, will not irritate any of the household and will be an excellent background of the original plumbing, you should choose a combination of various shades of gray to white. The combination of white with dark emerald tone is capable not just transform your bathroom but to take the design to an absolutely new level. Luxury and comfort, practicality and elegance – in this design, seems to be everything is subordinated to create a comfortable and aesthetic atmosphere in the room for water procedures. 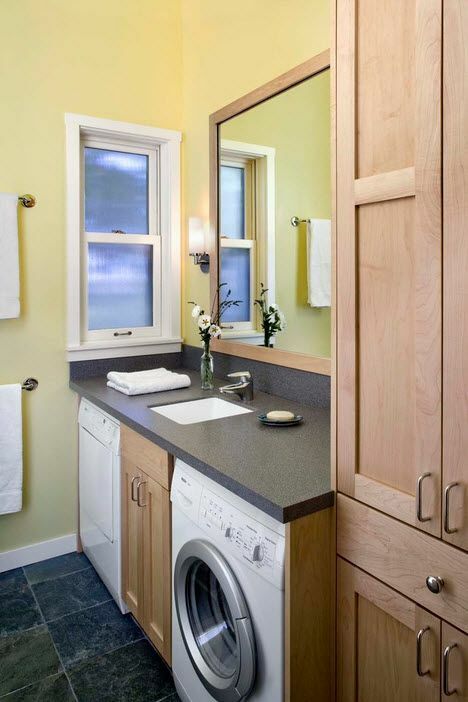 Using of bright accents in the snow-white bathroom creates an incredibly strong impression. 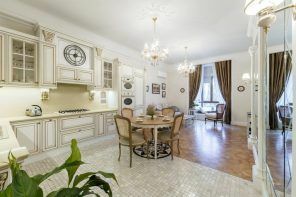 The combination of white and yellow colors enhances the level of optimism among the owners of an apartment or private home, raising the mood and improve overall feeling. 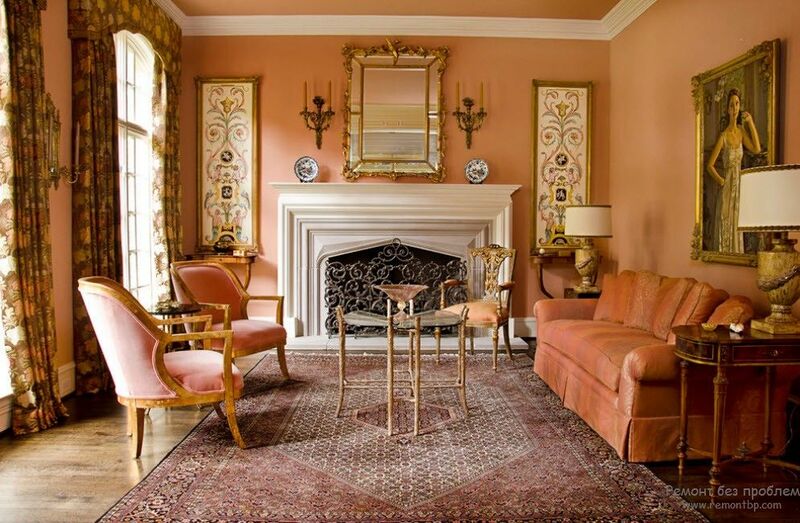 Warm, natural colors never go out of fashion. Bathroom for many homeowners is not only a symbol of purity and freedom, but also a place for relaxation. And there is nothing better can help in relaxing the body as unobtrusive, natural colors, soft lighting (which can be easily adjusted) and water treatments in a convenient and comfortable environment. No matter how many years go back in the history of interior design, but the lining by a ceramic and stone tiles will be the most popular option for the decoration of the room with high humidity and temperature changes. Ceramic tile is a reliable, durable and practical material for surface finishing. You just spend money once for renovation and enjoy the comfort and ease of exploitation and maintenance for many years. Variants of color and texture solutions for tile is plenty. Even the most demanding customer can find “his” material. Consider some modern collection of tile finishing. Metallic tile with scuffs effect is a great opportunity to create an exclusive finish. The combination of chocolate and brick-red shades creates an amazing effect – the surface looks velvety, but at the same time it is resistant to moisture and high temperatures. 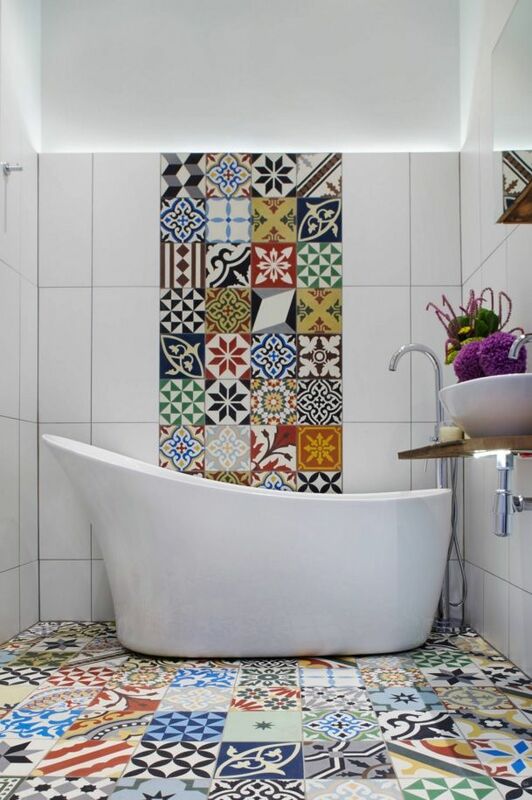 Large “Metro” tiles is often used in modern design projects. Light colors are often chose for the walls, large size and a couple of shades darker tiles is usually used for the floor. This design helps to visually expand the space. 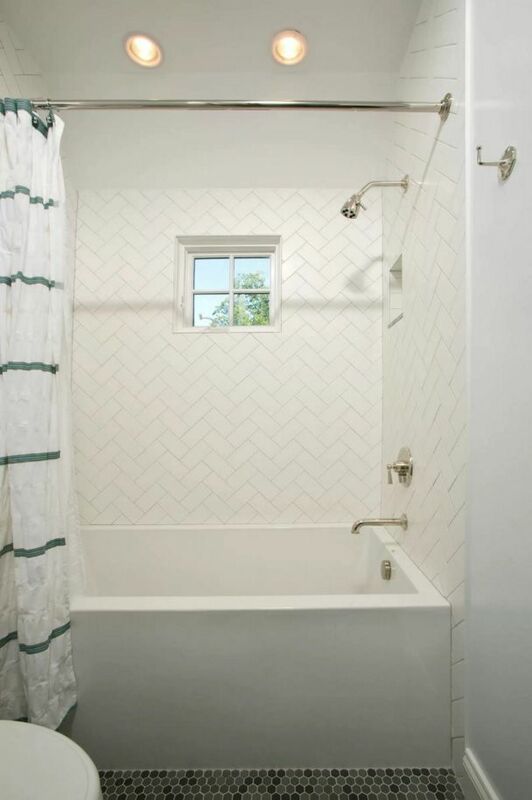 The original way of finishing the walls with herringbone tiling helps make bathroom design unique. Even the most neutral combinations, such as the use of gray and white colors, look trivial and fresh. 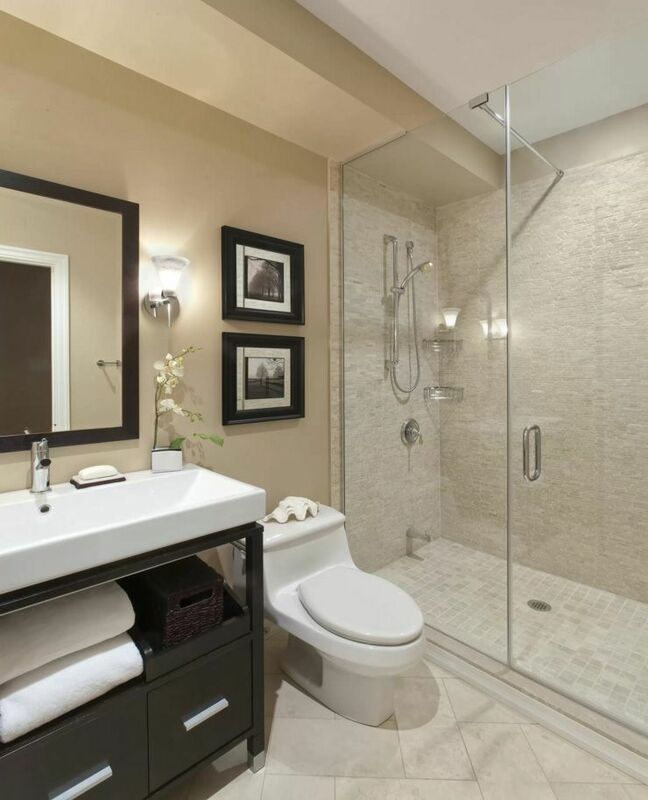 In many modern design projects you can meet combined bathrooms finishes. And it’s not we talking just about the facing walls with ceramic tiles, while using suspended technology for ceiling decoration – a variety of finishing materials are combined in a single surface. For example, large size tiles can be used for wall facing and a ceramic tile or smaller than the base material tiles for room edging. Logically, the finishing materials color will be different, but wherein staying within the natural palette. For bathrooms of modest size it is always important to use white color finish. An interesting option could be a combination of snow-white paint and finishes using ceramic tiles in the shower area. Hexagonal patchwork patterned tiles is not only able to diversify the palette of the room, but also bring a positive element in the character of the bathroom. If the bath will not be placed against the wall of your utilitarian room, you don`t need to have trim the backsplash in the area. It is possible to resort to the next designer reception decoration: decorate walls with waterproof paint in monochrome light way, and use ceramic or porcelain tiles with a colorful print for the floor. The use of ceramic tile that mimics a tree is a trend that came into modern design projects from eco-style. The natural warmth fills utilitarian space by creating an original and unique image. Natural wood colors look particularly expressive and spectacular in combination with the snow-white sanitary ware. Application of waterproof plaster is infrequent design method for bathroom design. The resulting surface may be similar to concrete as if it is aged by long years of operation. Decoration looks impressively in combination with modern plumbing and the most progressive bathroom accessories, giving the room brutality and chic at the same time. 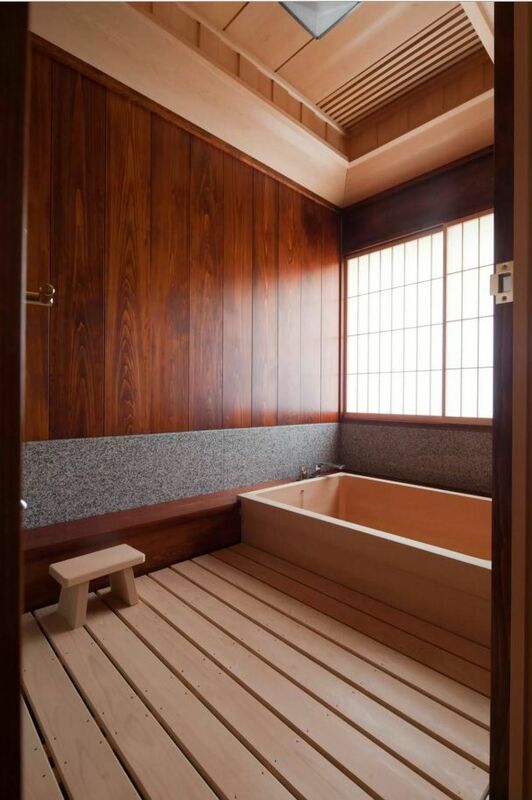 Not long ago, the use of wooden surfaces in the bathroom design have promised fail and repeated repair after a few years of exploitation. But modern antiseptic solutions and protective coatings allow the use of natural materials even in areas of high humidity. The use of natural stone for cladding of utilitarian premises is not a cheap pleasure. But at the moment the market of finishing materials can propose a whole layer of products which effectively simulate the natural raw materials. Artificial stone looks virtually indistinguishable from natural, but it is deprived of its basic lack – the big weight, not to mention the cost of crude materials. Pebble floor in the bathroom is not only practical, visually appealing, original and eco-friendly way of facing but also an excellent opportunity to keep yourself in shape. By stepping on an uneven surface of the floor, you can feel massaging effect on the soles of the feet, energizing the various areas of your body. This interior of the bathroom will look not only aesthetic, but also original, unique, and will serve you for years to come. Brickwork in the interior will be relevant not only to the loft. At first glance, the raw brick wall brings notes of brutality in bathroom design. In fact, the brick surface and its seams are treated with all sorts of preservatives and protective sprays. Brickwork, in combination with white and stone surfaces finishing (or rather the lack of it), looks very impressive. Relief decorative plaster or liquid wallpaper is the possible option of walls design in the area of ​​the lowest moisture impact. This finish is suitable for WCs or bathrooms with shower, lined with ceramic or stone tiles, mosaics. Baths of unusual shape is hit of the season. In a broad sell you can find enough of the original models – from round to trapezoidal, oval and square. Depending on the size of the room, your preferences and the style of the interior you can choose bath of unusual shape and even color. 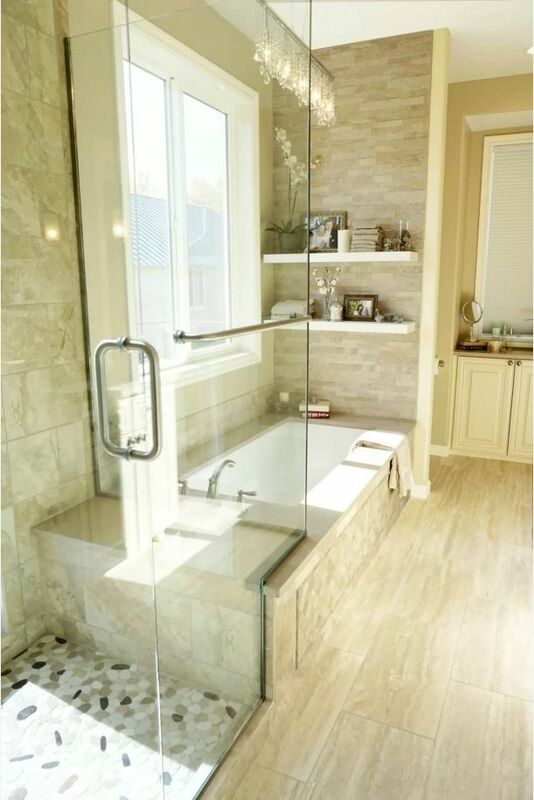 In the spacious bathroom there is no need to use a standard rectangular bath. Open space allows us to apply imagination and turn this plumbing element into undisputed focal center of the room for water procedures. Big snow-white round or oval shaped bathtub will look luxurious on a dark background of the floor. Modern homeowner can`t be surprised by conventional design of the jacuzzi. So manufacturers try to equip their products with a greater number of built-in functions. Whirlpool and rain shower, rising curative shower or nozzles with the effect of dispersion there is no limit for features of modern fixtures and its accessories. This spa within your own home is not a dream but a reality of the modern homeowner. Sink-bowl of round or oval form is often present in modern design projects for water treatment rooms. In order to enhance the effect of the presence of the original plumbing, white bowl should be set on a background of dark countertops of stone or other material. Stationary sin, in a form of a big box mounted on the floor would look great in a spacious utilitarian room. A symmetrical arrangement of a pair of sinks with mirrors on them creates a classic touch of modern design. Bathroom with unusual shapes requires special plumbing. Rounded, smooth surfaces of the utilitarian premises are reflected in the original models of plumbing fixtures. Egg-shaped oval sinks and baths will be more than appropriate in this space. Influence of minimalist and high-tech styles on the formation of a modern bathroom design is reflected in the strict geometry. Achieved interior with quadrangular fixtures and storage systems gives the impression of an incredibly orderly and concise space. 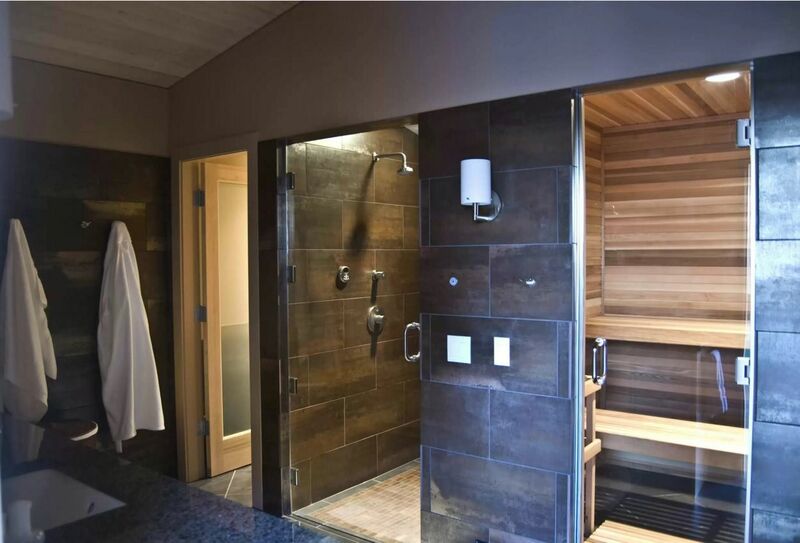 The modern private homes of urban and suburban types, as well as in apartments with improved design, have enough space to locate even a small home sauna in addition to the standard bathroom. In fact, steaming room requires very small, isolated room. Convenient location of the steam in the space of a bathroom or in its immediate vicinity is that the shower and all the accessories for the spa treatment you will have literally in a hand.